The weather lately has been wonderful. It feels pretty awesome to be outside (except for the inevitable muddy shoes… and pants). 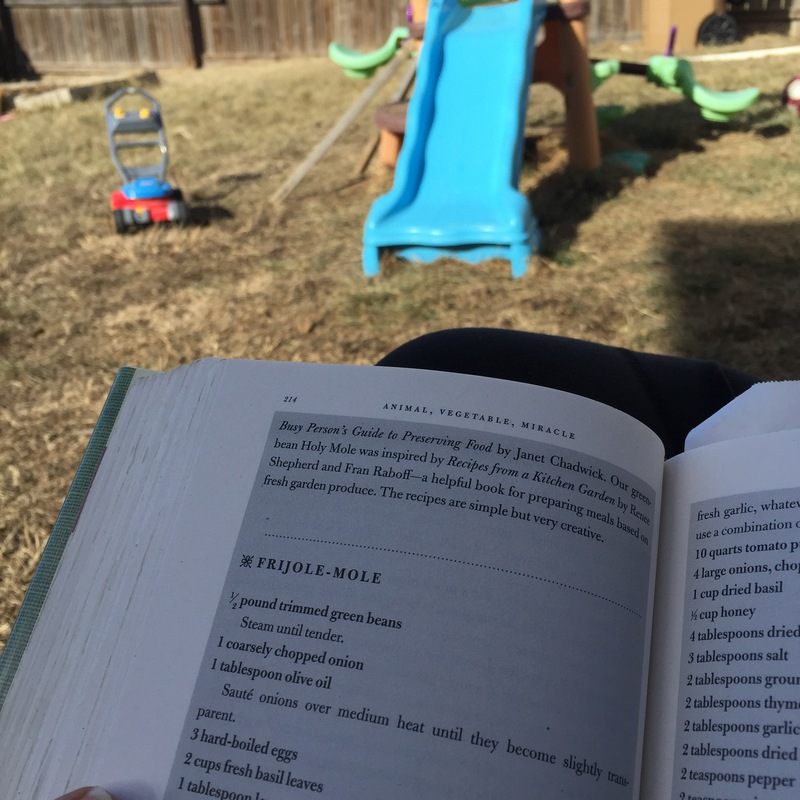 I love reading while watching the kids play outside. 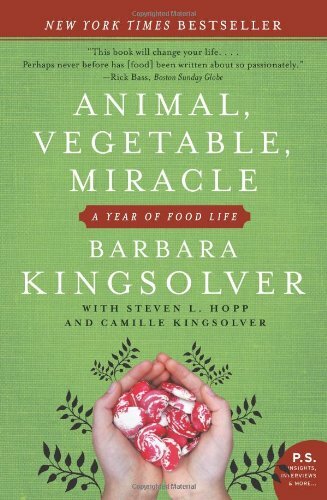 I’m reading Animal, Vegetable, Miracle: A Year of Food Life. It’s a really entertaining read also very informative. One new goal for this year, kind of inspired by this book and others I’ve read is that I’m going to try to reduce our family’s meat intake so I can buy an organic chicken and make it last. We already do two days vegan, and one other main meal meatless.